(VEN) - Dutch Ambassador to Vietnam Elsbeth Akkerman recently pledged her country’s help for Vietnam in building a circular economy. Speaking at a conference on bilateral economic cooperation, Ambassador Akkerman explained that circular economy refers to a production process in which waste is recycled for use as manufacturing materials to minimize adverse impacts on the environment, protect the ecosystem and human health. Therus Gieling, a representative of GC International, said that with its motto “Nothing is waste”, the organization has carried out various projects to collect and recycle solid and liquid waste for use in the Netherlands and many other countries. GC International also conducts research and assesses possibilities to reuse waste, proposes ideas, studies the feasibility of projects and organizes their implementation, while at the same time lobbying for funds from governmental, political and social organizations worldwide. GC International is willing to transfer technologies and share experience to assist Vietnam in building a circular economy. 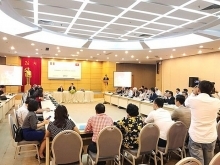 Pham Trong Thuc, Deputy Director of the Ministry of Industry and Trade’s Industrial Safety Techniques and Environment Agency, said that the Vietnamese government promulgated a national strategy on green growth in 2012, and that the 2014 Environmental Protection Law also contains specific stipulations on dealing with products that have expired and classifying waste according to recycling purposes. The state offers preferences in terms of tax, capital and land to facilitate the construction of waste recycling facilities. 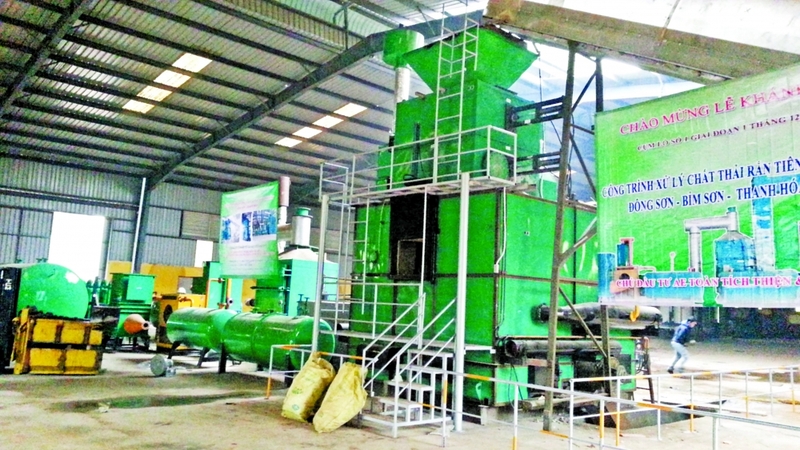 However, a lack of suitable technologies and resources is hindering Vietnam’s investment in the waste recycling industry. Moreover, there are no linkages between manufacturers and distributors of recycled products. Addressing the conference, Deputy Minister of Industry and Trade Do Thang Hai said that every year, steel manufacturing facilities, coal-fired thermoelectric and DAP fertilizer plants dispose of nearly 1.6 million tonnes of waste, such as ash, coal residues and gypsum. About 25 million tonnes of waste is discharged daily by urban residents, and about 43 million tonnes by agricultural production. Most of the waste is not used as materials or fuels for production. Vietnam has great potential to reclaim waste for recycling, especially industrial and agricultural waste. Deputy Minister Do Thang Hai expressed his hope that the Dutch government would transfer its latest waste recycling technologies to help Vietnam turn waste into resources to protect the environment and promote sustainable growth. from which can be re-used as input materials for other sectors to create closed production chains.